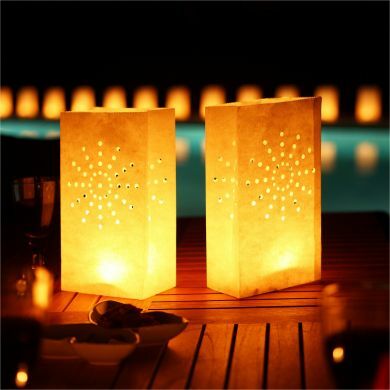 Candle Bags prefer payment via PayPal being a service at no additional costs, safe and reilable. Our site does not use long, boring registration processes but simply "choose" , "buy" and dispatching will be done the same day! This page shows all the steps to purchase our products online , and pay quickly and safely with a prepaid card or a credit card or a PayPal account. 3. The page shown in the example is precisely the "Red Sun Candle Bags" . - The hand- labeled with the number 1 shows the drop-down menu for selecting the package and the button "Add to cart " to make the purchase . Under the button is shown a message highlighted in purple with the request the availability of the product . - The hand number 2 shows all the available packages and their prices. The hand number 3 shows the description of the product and the 4 alternative products that can be displayed in the same way as the previous . 4. Once you click "Add to cart" you will be redirected on the page for the purchase of PayPal. 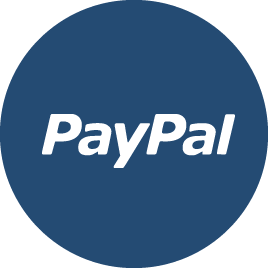 - Note the hand indicated by the number 1, shows the link highlighted in green with a padlock, means that the Common use is guaranteed by the data security of Paypal. - The hand number 2 indicates the name of the product that we have included in the basket, the product code and the package that we have selected (in this case the 10-pack). - The hand number 3 indicates the price of the product. - The hand number 4 the amount that can be changed by clicking on it, the update of the cart and the ability to remove the product that we put in the cart. - The hand number 5 indicates the amount of the carriage according to how many products we have in the cart. - The hand number 6 indicates the total price of the products, the shipping cost and the sub total of the two. - The hand number 7 indicates the purchase through PayPal account, if you do not have a PayPal account you can make your purchase via the "Check Out". - Hands 8 and 9 indicate the directions in which you can continue using the site to add more products. 5. This image below shows the addition of other products to the shopping cart for example, using the actions of the hand 8 and 9. Note the addition of a 5 pack of " Blue Eco Premium Sky Lanterns " and a 5 pack of " Union Jack Candle Bags "